I read this article and found it very interesting, thought it might be something for you. The article is called Staying Snowy in the Southern Hemisphereand is located athttp://welove2ski.com/snow-report/august-06-2018. Once again, all the main ski regions of the southern hemisphere are expecting snow this week. 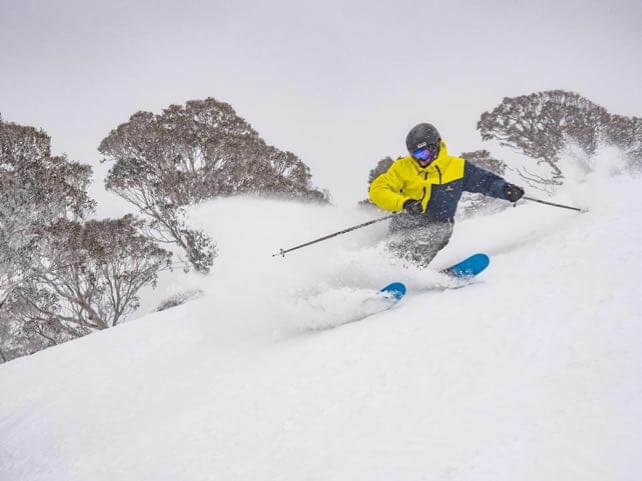 But right now, the resorts of Australia’s Snowy Mountains have the best conditions. They received 10-15cm of the white stuff on Friday, and are expecting 15-30cm more from another weather front crossing the region today. Here’s how it looked in Perisher on Saturday morning. The natural snow depth here is 131cm deep – testament to what’s been a pretty consistent season so far. The snow’s in good nick in the ski resorts of New Zealand too. Although the weather’s been mild, many of the South Island resorts have had 10cm dustings over the last seven days – and there’s more to come this week. Wednesday is looking particularly promising (if windy) with heavy snow down to 1300m and the freezing point at 1400m by the evening (Treble Cone’s base lodge is at 1250m). There may be snow showers on Thursday and Friday too. Here’s how it looked at the terrain park in Mount Hutt on Saturday. Not bad for a view, huh? And this was Treble Cone, above Lake Wanaka, this morning. There’s up to 149cm of settled snow on the slopes here. Finally, the ski resorts of the Andes are expecting snow too – with a short, sharp storm moving up from the southern resorts to those nearer Santiago today/tomorrow. By the way, if you fancy a last-minute summer holiday in the Alps, check out our latest selection of deals. Chalet holidays, including flights, are going for less than £400pp.